Astra MkII and SFDR India’s next Silver bullets in the air? After completing series of Pre-induction tests of Astra MkI Air-To-Air Missile last year, limited production of the Astra missile system has already begun and by next year the first batch will be delivered to IAF which will be integrated into Su-30MKI fighter jets and later slowly will make it into other fighter aircraft like Mirage-2000,LCA-Tejas and Mig-29 in near future,but DRDO is just not done yet. A successor to Astra Mk1 will be Astra MkII which has been on drawing board for some time but due to the slow pace of development phase which bogged down Mk1 program, it is likely to have shorter developmental trials due to missile system carrying forward many of the systems which have already been developed. 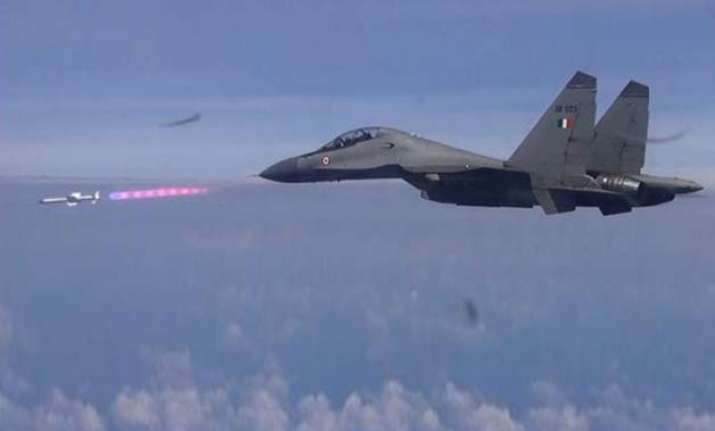 IAF and DRDO are yet working out technicalities of Astra MkII program it’s more or less confirmed that it will have longer range and will have additional capabilities making it a vital air-to-air dominance arsenal of IAF in near future. Astra Mk1 has a Non-classified head-on chase range of 75-80kms as per own admission of DRDO but unofficial reports claim it to be from 90-110km. MkII will have Non-classified head-on chase range of 100-120kms and an unofficial range of nearly 150km since many critical technologies related to propulsion, guidance, and control surface actuation have been already perfected and will carry conventional smokeless propulsion that lets the missile kill its target without giving any clue about the location of the launching aircraft. But that’s where similarities will end, according to DRDO officials MkII will have a higher kill probability and a better No-Escape Zone. MkII will also feature clipped wings and fins so that it can be carried in the internal weapons bays of AMCA and Stealth UCAVs.MkII will have slightly larger motor along with improved ECCM with jamming detection, an upgraded AESA radar seeker, and of course a longer range. Yet we saw DRDO starting developmental trials of Solid Fuel Ducted Ramjet (SFDR) first than that of MkII? Well, development of the ramjet motor and sustained long-range flight in the air while pulling 30-40gs required deeper research and studies due to high thrust levels provided by the ramjet propulsion which needs to be channeled properly so that it can sustain Mach 4 speed from launch till it hits its target and also enforces a no-escape zone. Astra Mk-1 program suffered from the inflight performance due to instability at high speeds leading to considerable delays in the program and almost whole missile design had to be redone to fix flight trajectory issues that took years to perfect. Ramjet over conventional motor could have cropped up similar issues but this time DRDO roped in Russia’s Vympel JSC company which had carried out studies a few decades back to mate a ramjet motor on its famous R-77 BVRAAM derivate but couldn’t execute the program for unknown reasons and was happy to help India for technical collaboration in lieu of funding. A long-range air-to-air missile developed based on the SFDR will actually have a trickle down effect on the MkII program. Idea is to have a cheaper low-cost option which comes closer to the performance of the SFDR BVRAAM but with a conventional motor so that it can be adapted and be made standard BVRAAM in with the whole fleet. SFDR will share many of the key non-propulsion technologies with the MkII program so that it can make that long range kills with higher kill probabilities. SFDR will not only be expensive but speculative to be nearly 250kgs in weight, which is 60kgs more than Meteor BVRAAM. SFDR will have a range in excess of 200km and will be designed as an “AWACS killer” but it is also likely to be pressed into action to takeout high-value targets like inflight refueling tankers, AEW&C or any other tactical support air assets which usually operate in depth of their own airspace. Due to weight, SFDR based BVRAAM will be limited to a few aircraft types in the IAF fleet and not a common BVRAAM for all types, this where Astra MkI and MkII will come in as a standard common air-to-air missile for the whole fleet.